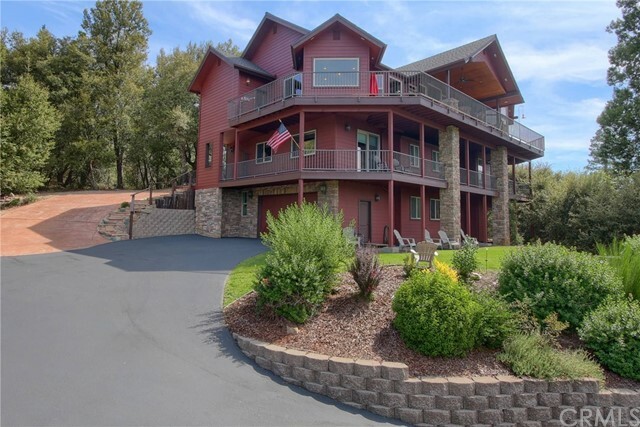 Set on a hill with sweeping lake views is this custom home that backs to the forest and on an extra large parcel. Wrap around deck offers star lit skies viewing in the evening, amazing sunsets and the fun lake activity underway! Open floor plan, kitchen, living room, walk in pantry, master suite, master bath has spa tub, large walk in shower, 2 closets, guest bedroom and all are on the main level. Living room has a wood fireplace, vaulted ceilings, knotty alder solid doors, custom fixtures. Chef's kitchenSet on a hill with sweeping lake views is this custom home that backs to the forest and on an extra large parcel. Wrap around deck offers star lit skies viewing in the evening, amazing sunsets and the fun lake activity underway! Open floor plan, kitchen, living room, walk in pantry, master suite, master bath has spa tub, large walk in shower, 2 closets, guest bedroom and all are on the main level. Living room has a wood fireplace, vaulted ceilings, knotty alder solid doors, custom fixtures. Chef's kitchen offers lots of counter space, stainless steel appliances and more. Additional bedrooms on lower level have their own bathrooms and a separate entrance. Total of 6 bedrooms and 5 1/2 baths. The blue bedroom and the 6th bedroom share a jack and jill bath. The 6th bedroom would also make an amazing family or game room. Four car garage with a 1/2 bath. Plenty of parking for all your friends and family!Hardiboard siding, trex-like deck materials for easy maintenance.